Birth defects are developmental problems which your baby can develop while he’s still in your womb. The problem can be in your baby’s organs or his body parts, and could vary in severity from minor defects that do not require any medical attention to complicated ones that can cause life threatening complications. 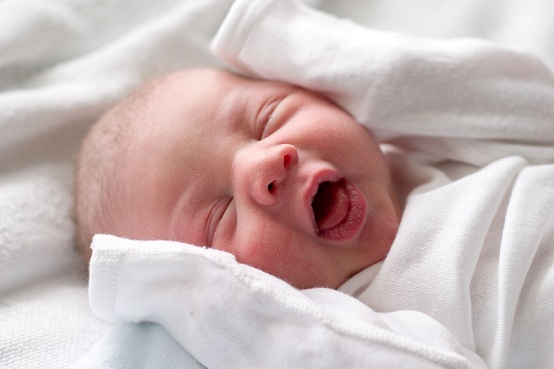 Therefore, newborn babies with major birth defects need prolonged care and treatment. Congenital heart defect is an anatomical abnormality which affects between 4 and 10 babies out of 1000 live births. Congenital is a term to indicate that the condition is present at birth. There are certain conditions that can increase the risk of the newborn baby having a congenital heart defect. These are if the baby has Down Syndrome, if the mother has infections like rubella during pregnancy, if the mother has diabetes during pregnancy and other chromosomal defects in the baby. Most conditions can be picked up on ultrasound during pregnancy but not all. Mild defects, such as holes in the heart, often don’t need to be treated. They may improve on their own and may not cause any further problems. Surgery or other interventional procedures for your newborn baby are required if the defect is large and causing severe symptoms. Surgical techniques are usually successful depending upon the defect and about 80% of children with congenital heart disease will survive into adulthood. Another anatomical birth defect which can affect your newborn is cleft lip or palate. There is a gap in the lip or roof of the mouth that is present at birth, because developmentally it did not join together. The cleft may affect one or both sides of the lip or palate and may be limited to the lip or extend up to the nose. The exact reason why it occurs is unclear though it is known to be associated with smoking or drinking alcohol during pregnancy, a lack of folic acid during pregnancy, taking certain medications during pregnancy such as steroid and anti-seizure medications. A cleft lip or palate can be surgically corrected when your baby is three months old. However, surgical repair of a cleft palate which involves the restoration of the gap between your baby’s mouth and his nose is feasible only after six months of his birth. Sometimes, follow-up care after treatment is recommended for faster healing. Surgical correction of your baby’s cleft lip might leave a mild scar although the symptoms are successfully eliminated. Clubfoot is another birth defect which is fairly common and is usually an isolated defect in an otherwise healthy baby. Clubfoot describes foot abnormalities usually present at birth in which your baby’s foot is twisted out of shape or position. Clubfoot can be mild or severe. About half of children with clubfoot have it in both feet. Doctors are of the opinion that a combination of environmental and genetic factors contribute to this developmental condition in your baby. Your newborn baby’s bones, joints and tendons are very flexible so treatment for clubfoot usually begins soon after birth. Treatment options include stretching and casting the foot into a correct position regularly for several months. Once in a proper position, your child will have to use braces and special shoes for as long as needed. If the clubfoot is severe or doesn’t respond to the stretching, surgery may be needed. The surgeon will lengthen tendons to help ease the foot into a better position. Birth defects are of several types and may vary in severity. Sometimes they occur due to environmental and genetic factors that affect your baby’s fetal development. However, medical science is evolving with new and advanced treatments to correct birth impairments so that your baby can lead a normal and healthy life.